The REEL ROCK Film Tour is an annual international event where climbers and lovers of the outdoors, get together to celebrate the ultimate in adventure filmmaking featuring the most breath-taking climbing feats and climbing adventures from around the world. "REEL ROCK founders Josh Lowell and Peter Mortimer have been producing and directing climbing and adventure films for over a decade, with devoted audiences around the world. In 2011, REEL ROCK screened in over 280 locations world-wide, drew over 65,000 audience members, raised over $15,000 for non-profits, partnered with more than 150 retailers, university outing clubs and climbing gyms, and won copious media coverage and critical praise." 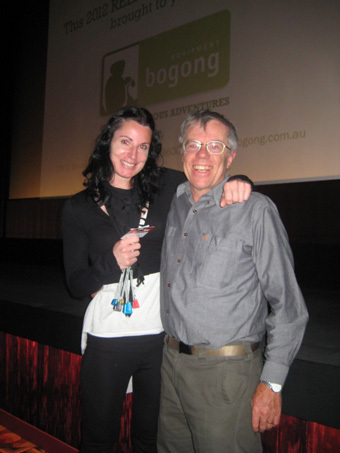 Over the last few years, Bogong Equipment has been delighted to bring the REEL ROCK phenomenon to Melbourne and to the local climbing community. This year we were excited to be able to call the charming 1920's art nouveau Westgarth Theatre, our new "Reel Rock" home. 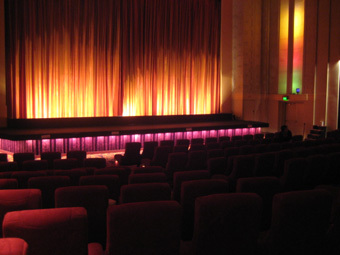 The capacity crowd revelled in the opportunity to view the film and enjoy a drink or two in the plush surrounds of this endearing landmark. Thanks go to the lovely Palace Westgarth crew for all their efforts. 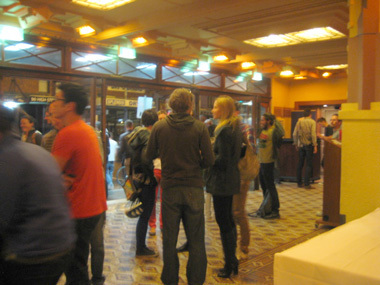 We trust you enjoyed the REEL ROCK 7, 2012 screening and we look forward to seeing you all next year. For those of you who missed out - get in early next year!!! 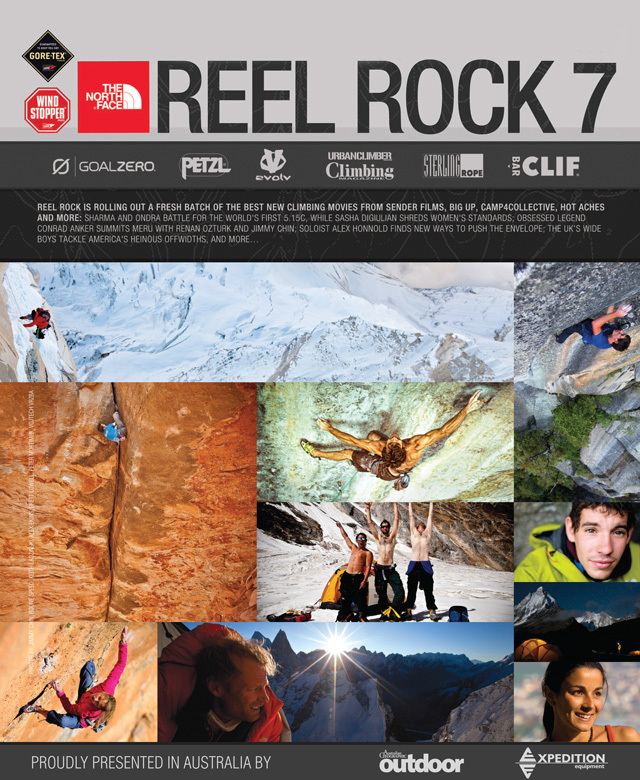 In the meantime the REEL ROCK 7, 2012 DVD will be available for purchase from our store from early December. 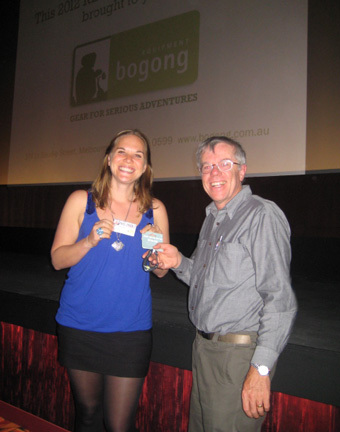 Bogong Equipment owner, Neil Blundy presents the lucky door prizes to REEL ROCK 7 filmgoers, Sybella Kelly (left) and Celine Valant (right).